The Kwando is made for children, but it is definitely not just a floating toy. With this kayak, children can cut their teeth on flatwater and easy rivers by learning basic paddle strokes and skills. It has the performance and the features of our adult boats – just packaged in a size that a child can physically manage. Paddle Cutaways allow for a full natural stroke without the paddle blade grazing the sides of the deck. Its sculpted seat is designed for comfort and with both feet together in the footwell, this kayak is ergonomically suited to a correct paddling style. The 8″ Screw Hatch gives access to watertight storage in the rear of the deck, which, together with the Tankwell, provides sufficient storage volume for children to pack their own gear for single or multi-day adventures. The Bottle Holder, located in front of the seat, ensures that a beverage is accessible. To free their hands, when they stop to chat or stand-up on the flat Stand-up Platform to pose for photographs, they can stow their paddle using the Paddle Rest. The Kwando can be carried using the Handles positioned on the front, back and sides. 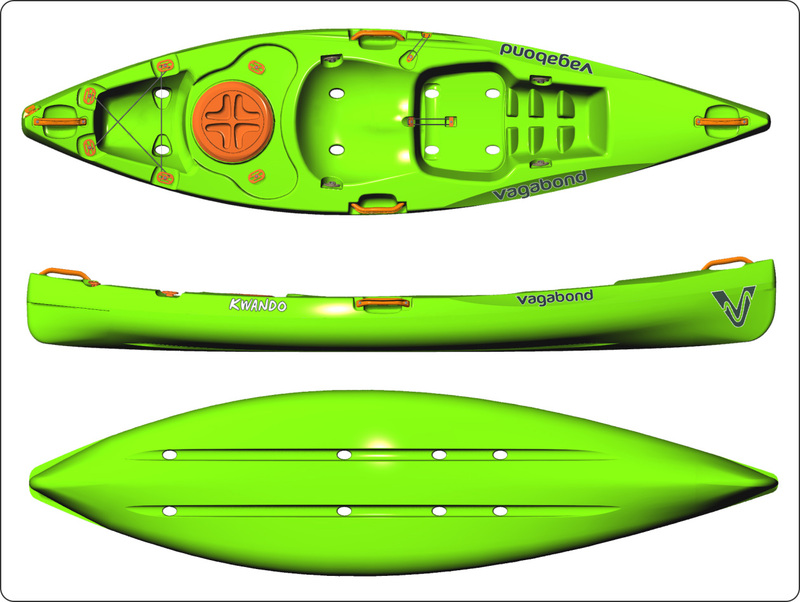 Children will develop a passion for paddling with a kayak that has been designed to suit their needs. The Kwando is easy to keep moving in a straight line, quick to respond to turning strokes and a pleasure to paddle.